Help your guests navigate the show. Who-what-where-when; a touch screen show directory of your conference schedule, show activities, exhibitor directory, updates and speaker profiles. 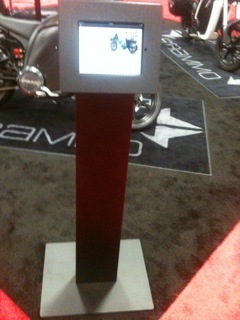 3D’s Show Directory Kiosk is a self-serve, highly visible information kiosk. It extends your digital media and advertising sales to interactive iPad Kiosks or personal iPads. Kiosks places perfectly at registration, lounges and high traffic lobbies.